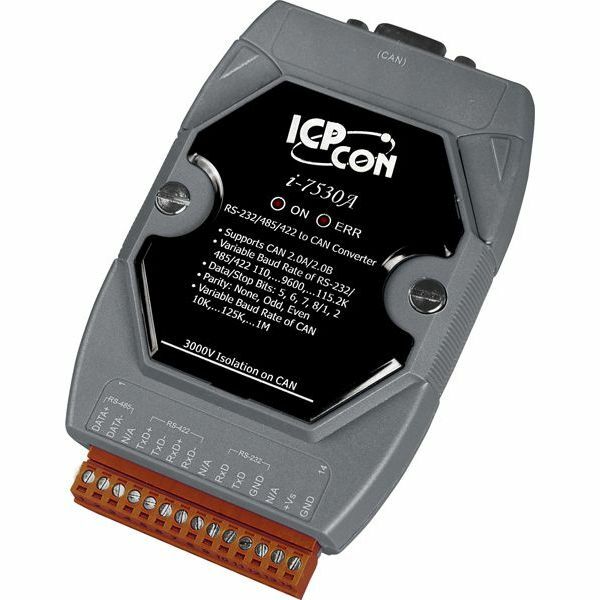 The I-7530A is an RS-232/422/485 to CAN converter. It is a member of the I-7530 serial family, and inherits all of the features of the I-7530. The CAN interface of the I-7530A follows ISO 11898-2 specifi cation, the maximum CAN baud is up to 1 Mbps. There is one COM port in the I-7530A. As the I-7530A runs, it only receives the commands from one of these COM interfaces (i.e. from the RS-232, RS-485 or RS-422 interface) at the same time, but the CAN messages will be forwarded to all of these COM interfaces.